Loved her presence and delivery of the keynote. She has a quiet confidence about her that is very powerful. I could have listened to her for another hour! She was amazing! Very thoughtful and very engaging. Really helped me ask some of the hard questions of myself. Had an opportunity to speak with her later in the day 1:1 and she was even more impressive. She was very inspiring! Knowing that she is in the classroom, doing small changes that add up to a big change was what I needed to hear. She understood and acknowledged the struggles we face. The passion she had was apparent throughout the speech. Also, her humility and expression of not knowing everything helps gather buy-in, especially from a relatively young teacher. Great speaker, definitely gifted. Totally inspiring! I am trying things she shared already today! You say – A constant thread that runs through Passionate Readers is the sense that a classroom culture is constantly being built, that every day, Ripp communicates how incredibly important books are to a good life, and how, if we get to know ourselves as readers, and have lots of conversations about our reading, we’ll really get to experience the true magic of reading. Yet, I feel you dismiss the school library. 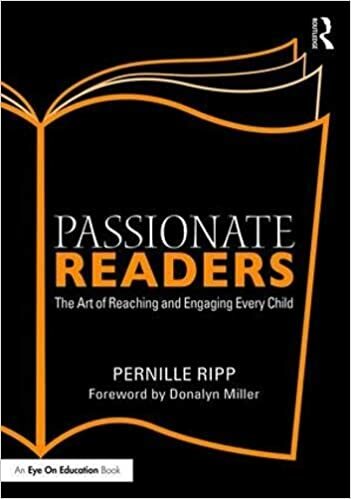 Perhaps you have not had in your school a library media specialist who is also passionate about reading, one who reads widely and is an expert in children’s literature, one who loves connecting children and books. If you haven’t had an active library media center in your school (and many of them are dying), I am sorry for that. Because you could also be an advocate for what a passionate librarian could do for your students and for your classroom. Yes, it is important to have our students surrounded by books. But using the library and having the expertise of a literature specialist is a gift that many of our students miss out on if they don’t have an active library media center in their school. It should be an integral part of the school culture, and visiting the library, finding the treasures there, is also a life-long learning experience that will take them beyond their school library and your classroom library. Definitely not meant to dismiss school libraries, I speak about partnering with your school librarian in many blog posts as well as when I speak, specifically about the power of the school librarian and how students need to have both classroom libraries and school libraries, and also how we, as educators, need to speak up about the power of having fully trained library media specialists. In fact, I mention Mr. 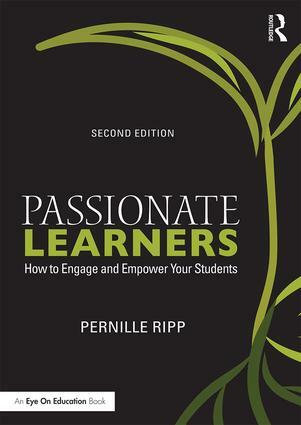 Powers specifically in Passionate Readers for being the reason I changed my approach in the classroom and offer some ideas, I am sure not enough but some. However, I am not an expert on partnering with your librarian for many reasons and feel your words are unfair as you make it sound like I don’t herald the power of librarians. In the book I did not want to present ideas I had not used myself as that would not be fair to any readers.